This tip is a fairly quick one. If you have ever needed/wanted to generate a monthly mini calendar, TKE 3.3 now has the all new Calendar plugin which will accomplish just that. Use the window to select the starting and ending month to generate and select the OK button to instantly insert a calendar in your editing buffer. Each consecutive month will be inserted below the previous month. To insert a single month, just make sure that the starting and ending month are the same. Sometimes it’s the little things that make the difference. Files and directories on your file system contain a lot of meta data associated with them. Sometimes, we need to get at that information for various reasons. This typically requires the use of your operating system’s file system viewer, the terminal and/or other 3rd party software. 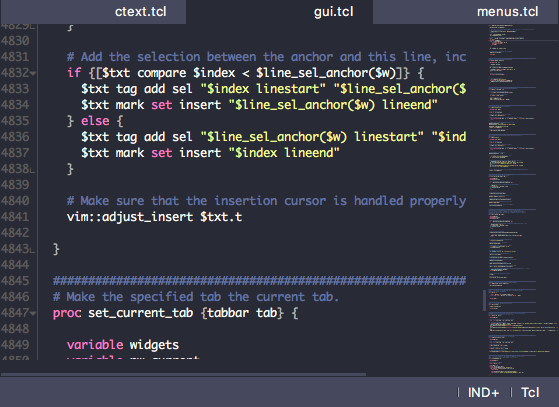 Jumping around to other pieces of software on your desktop can be disruptive to a good workflow and that’s where the new sidebar information panel in TKE (version 3.3) comes in handy. This panel is displayed at the bottom of the sidebar and allows you to view information for any file that is displayed within the sidebar. To view file/directory information, either right-click on a file or directory within the sidebar and select the “Show Info” menu item or hold down the Control key while right-clicking on a file/directory. A representation of this panel is shown below. In this representation, we see that an image file’s information is being viewed, including a 64×64 thumbnail preview of the image, file name, image dimensions, syntax type, file size, modification date, file permissions, file owner, file group, current version control number, and the TKE favorited status of the file. The information displayed within this file will be customized depending on the item type selected (i.e., image file, text file, directory). 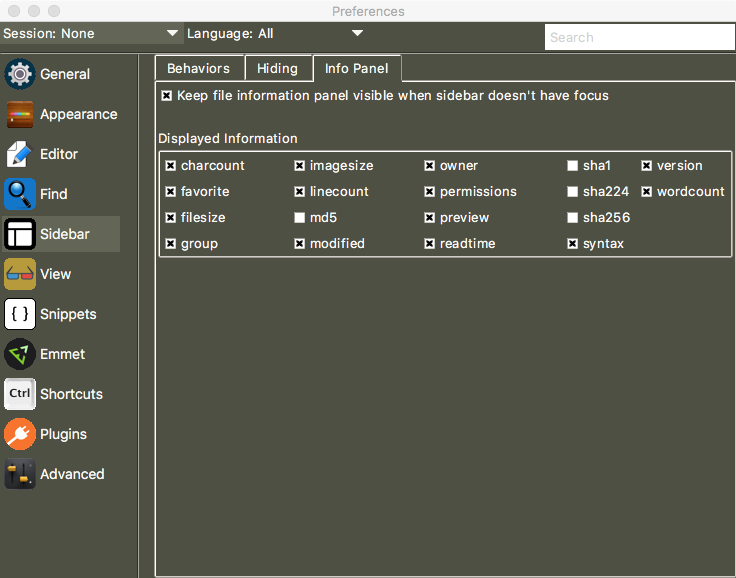 But wait, there’s more… In addition to this information, several other file/directory attributes can be optionally displayed by heading over to the Preferences window (Edit / Preferences / Edit User – Global), selecting the Sidebar panel and clicking on the Info Panel tab. Simply check/uncheck the file/directory attributes within this panel to control what information is displayed. By default, the panel will only be displayed when the sidebar has the current input focus. 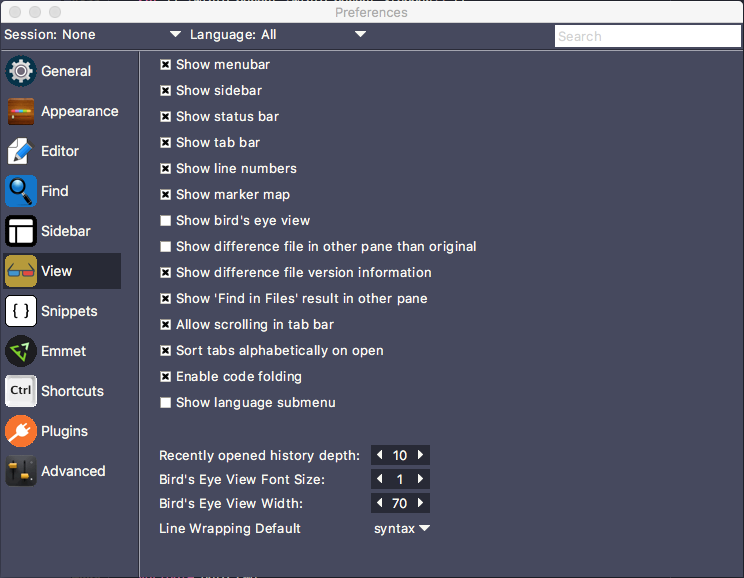 However, if you would prefer to keep it visible when the sidebar does not have keyboard focus, simply check the “Keep file information panel visible when sidebar doesn’t have focus” option. Back in the information panel itself, there are a few other useful functions you can perform when the mouse cursor is within the panel. Clicking on the ‘x’ button will remove the panel from the sidebar. Clicking on the “refresh” button will refresh the information within the panel (by default, the information is refreshed if the user is editing the associated file and saves it). 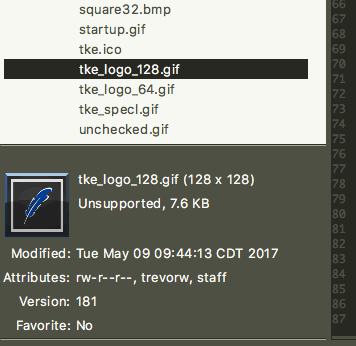 Clicking on the “eye” button will cause the associated file/directory to be displayed and selected within the sidebar. Clicking on the value of any attribute that is clickable will copy that information to the clipboard. Finally, it is possible for future plugins to display additional information within this panel, making it extensible and infinitely more useful.